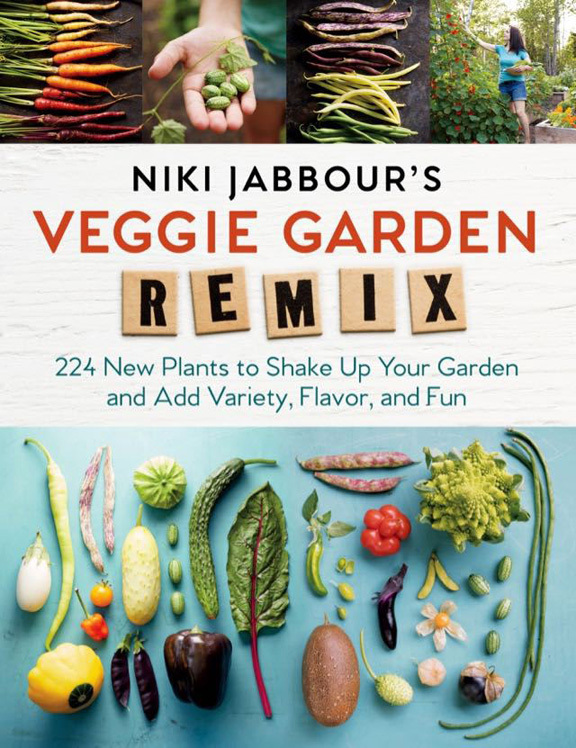 I can't think of a gardening book that has generated more interest and excitement this spring than Niki Jabbour's Veggie Garden Remix. This, her third book, has garnished terrific reviews in both the print and online press. Readers on Amazon have given it 5 stars, and on Goodreads, it has been given a 4.5 star rating. All the positive buzz not surprising. Niki created a reputation for being an innovative gardener early in her career with the publication of The Year Round Vegetable Gardener. 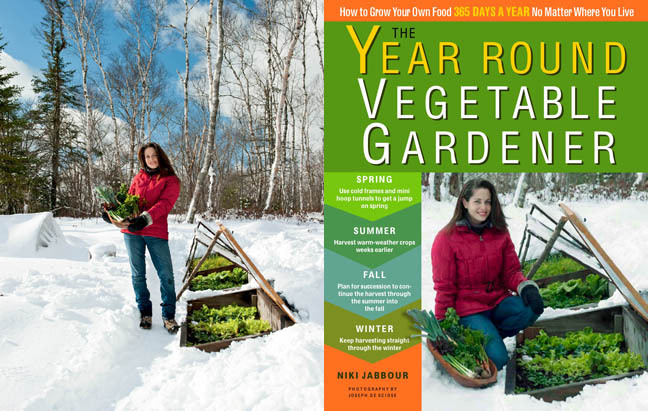 A few years have passed since its publication, but I still remember being amazed the first time I saw pictures of Niki in foot-deep snow harvesting fresh vegetables from her cold frames. 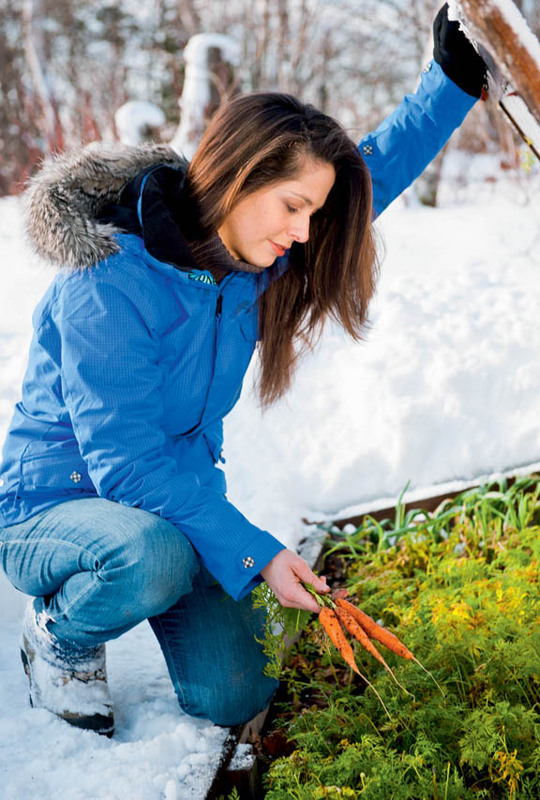 At the time, I don't think most gardeners had any idea that cold frames had the potential of extending the growing season that far into the depths of an icy Canadian winter. Photo of Niki Jabbour by James Ingram of Jive Photograph. Image from Veggie Garden Remix © Storey Publishing 2018. Used with permission of the author. Fast forward to 2018 and Niki is back with another book that again may have a big influence on the way we grow edibles. This time it is less about how you grow vegetables and more about what you grow in the first place. As Niki tells the story, it all began with a five-foot snake gourd she had grown as a Halloween decoration. When her mother-in-law dropped by Niki's garden one day, she recognized the long, thin gourds as a summer squash she had enjoyed back in her Lebanese homeland. Niki was surprised to discover unusual gourds were edible and was thrilled to have the opportunity to share them with her mother-in-law who hadn't had the pleasure of eating them in decades. Up to that point, Niki had grown a traditional range of vegetables in her garden, but the snake gourd made her wonder if it were possible to branch out and grow other global edibles from places like India, Mexico, Thailand, Argentina, Italy, Japan and China. 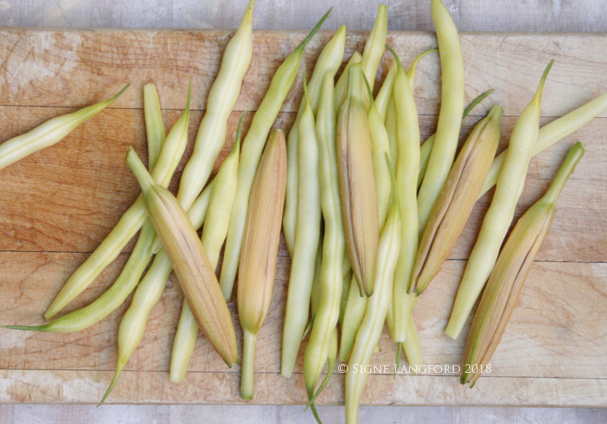 Very quickly she discovered that many unconventional edibles–pak choi, edamame, mibuna, bitter gourds, daikon radishes to name just a few– thrived in her Nova Scotian garden. Niki began to question the limitations of traditional vegetable crops. Why grow standard spinach when she could experiment with an array of greens like amaranth, orach, hablitzia and molokhia? They're far more heat tolerant than spinach and produce fresh greens all summer long. 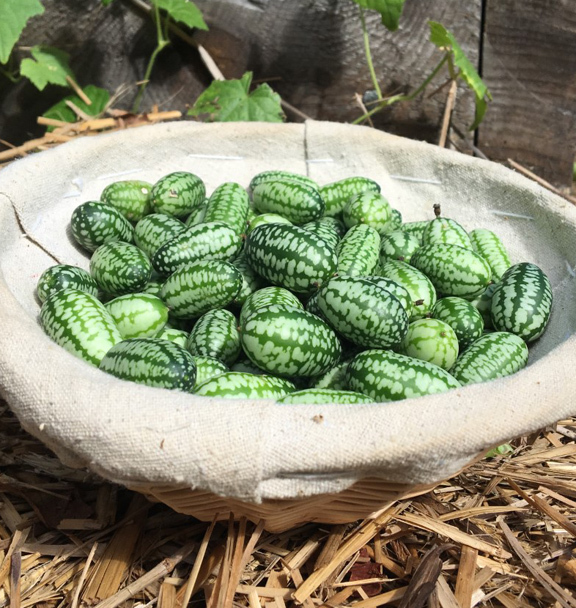 And why grow ordinary cucumbers when she could play with bit-sized cucamelons that had the familiar taste of cucumbers, but with an interesting a citrus tang. "Play" was the key to this new outlook. It's fun to be adventurous in the garden and try new things. 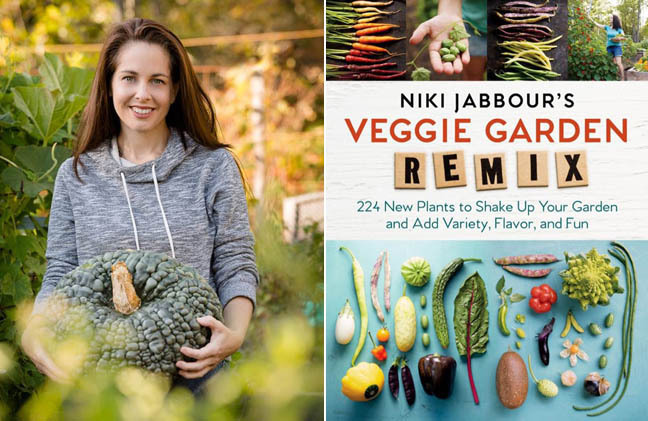 The challenge for Niki was to convince other gardeners not just to grow off-beat and sometimes odd-looking global edibles, but to want to eat them in the first place. We are creatures of habit. We want our food to be comforting and familiar. When faced with something new, we judge it with our eyes. I think Niki has handled the challenge well by dividing her book into segments that pair standards edibles with their global relatives. For instance, she suggests that if you like broccoli, you'll like Piracicaba, Spigariello Liscia and Romanesco. Like standard orange carrots? Then give these more unusual and delicious alternatives a go. Some of these global crops hail from warmer climates, so Niki has added in a handy count of the days until harvest. She also provides some background on each of the edibles and growing tips that take the mystery out of the unfamiliar. This is by far the most stylish of Niki's three books. The design is smart and cohesive. The photography is just beautiful. As always, Niki's writing is light, informative and entertaining. You can easily dive in and out of the book as time permits, or you may find yourself hopelessly drawn-in and read the whole book cover to cover. Many thanks to Thomas Allen & Sons for providing a copy of Veggie Garden Remix for me to give away. Because this book will go to a winner through the mail, we will have to limit entry to readers in Canada and the USA. Please leave a comment below, if you would like to be included in the book draw. The contest will remain open a little over a week (until Sunday, June 9th). If you are not a blogger, you can enter by liking the Three Dogs in a Garden Facebook page (there is an additional link to the Facebook page at the bottom of the blog). You are also welcome to enter by sending me an email (jenc_art@hotmail.com). Niki Jabbour is the award-winning author of Niki Jabbour’s Veggie Garden Remix, The Year-Round Vegetable Gardener, and Groundbreaking Food Gardens. 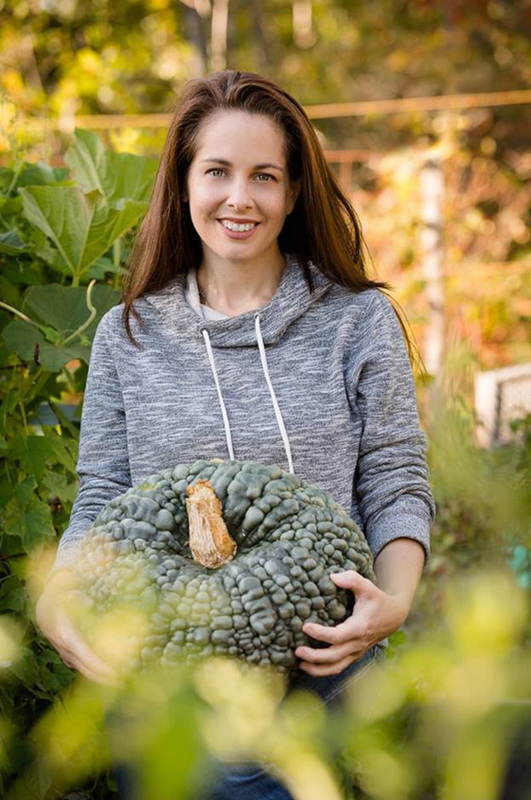 Her work is found in Fine Gardening, Garden Making, Birds & Blooms, Horticulture, and other publications, and she speaks widely on food gardening at events and shows across North America. She is the host and creator of The Weekend Gardener radio show. She lives in Halifax, Nova Scotia, and is online at SavvyGardening.com. 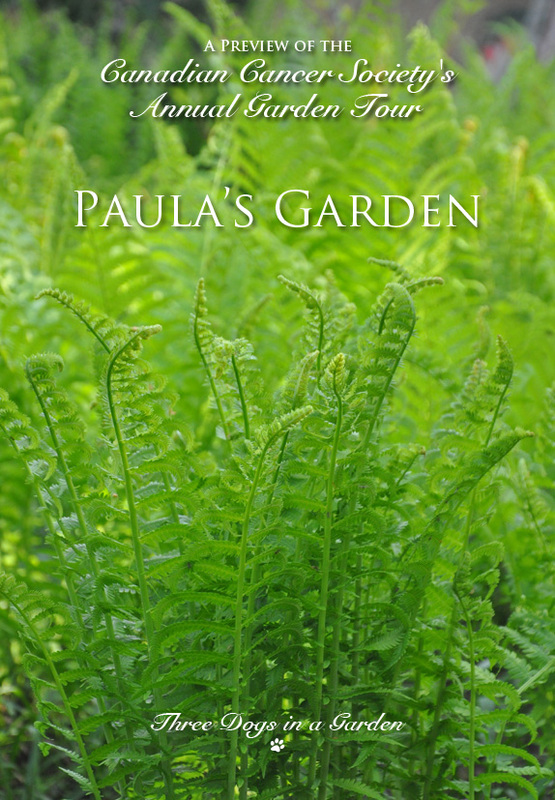 For Paula, gardening is a passion deeply rooted in family. 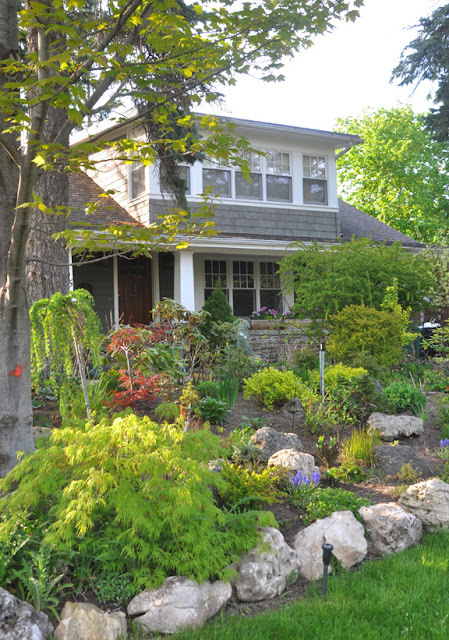 "My parents only really started gardening about 35 years ago with their purchase of a house in Mississauga. However, it was at their current house purchased 5 years later where they both truly invested (time and funds) into their garden," Paula tells me. "They started with a designer's plan but soon abandoned that to shape their garden in their own way. Over the years the garden has evolved from a limited set of familiar plants from their experiences in the Azores (where our family obsession with hydrangeas comes from) to a garden full of many varieties and colour." In her mother's case, a love of gardening reaches back through the generations to Paula's great-grandparents. "My mother often reflects on her memories of growing up in her grandparent's gardens and we feel that is likely her inspiration. She has a real knack for flower and plant design," says Paula. Her father and sister have also been a big influence. "My father has become a collector with over forty varieties of hydrangeas and an even greater number of hostas. Each year my parents expand or reshape parts of their garden to fit in new ideas or plants. As my sister grew up, she started taking a more active part in recommendations and new ideas." A flagstone walkway leads to a seating area at the side of the house and then splits to lead visitors in two different directions. 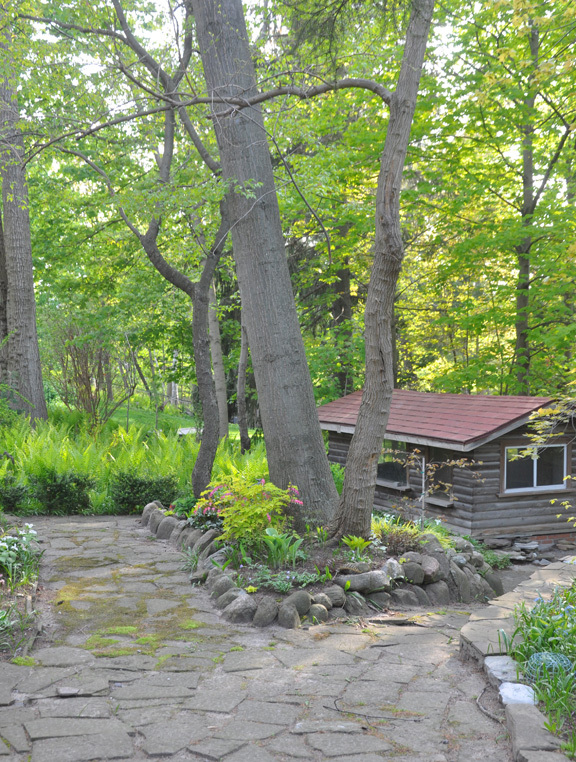 One path leads to a back patio and the other to a log cabin style shed. Container plantings by the side door. There is something to be said for having a big expanse of a single plant. Here native Ostrich Fern has been allowed to colonize a large area. The effect of a big swath of fresh chartreuse is dramatic. An idea to Steal: Don't feel you have to clutter your garden with a million different kinds of plants. Sometimes one is all you need to make a dramatic statement! 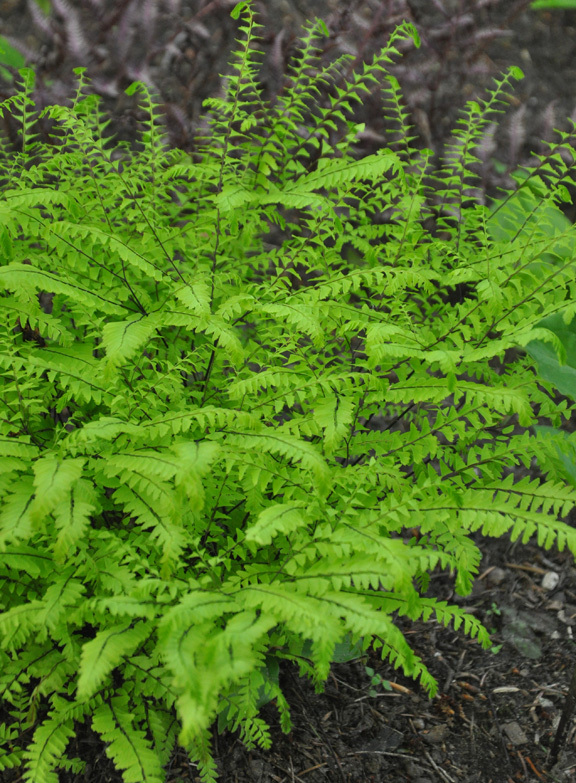 Ostrich Fern, Matteuccia struthiopteris is a clump-forming, upright deciduous fern. 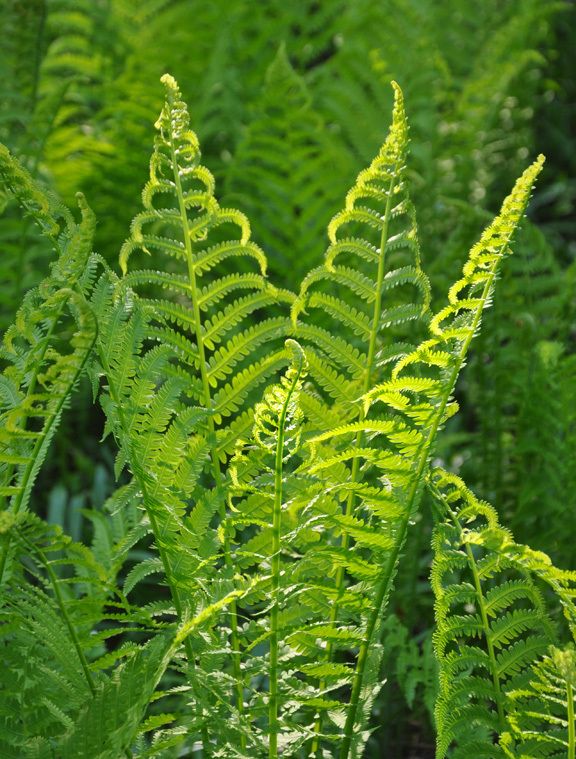 'Fiddleheads' emerge at the base of the clump in spring and unfurl into broad green fronds. This fern is easily grown in medium to wet average garden soil. It will colonize an area with favourable conditions over time. Part-shade to full shade. Height: 90-120 cm (36-48 inches), Spread: 60-90 cm (24-36 inches). USDA Zones: 3-7. 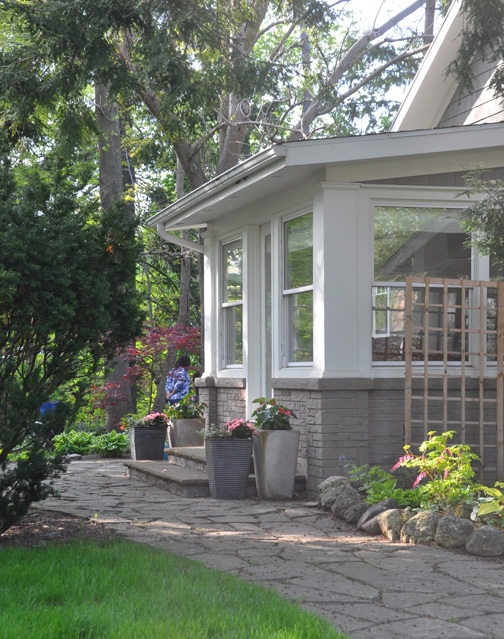 The purchase of her own home provided Paula with an opportunity to experiment with garden design and plant choices. The property was not without challenges. When she bought the house, the sloped front garden was a mix of periwinkle, ferns and a few trees. 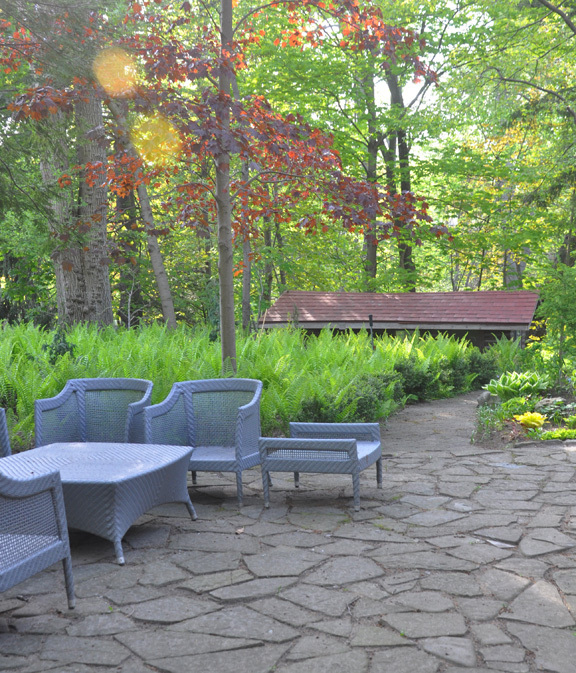 The shaded backyard offered a narrow terrace with a steep and rocky drop to a natural creek. Paula was unfazed, "I did not think I had much of a hand or interest for gardening and wanted a low maintenance garden. I relied on my parents a lot in the first few years. My father shared many of his hostas and other plants and helped with all the heavy lifting (for instance, he laid almost all the flagstone)." "My mother became my design advisor. My sister started contributing recommendations and gifts of new plant varieties. All of them helped with the work!" An idea to steal: Start a collection of an unusual plant that interests you. Barrenwort or Epimedium is a shade plant that offers an amazing range of flower shapes, sizes and colors. The foliage also varies in color, size and shape. 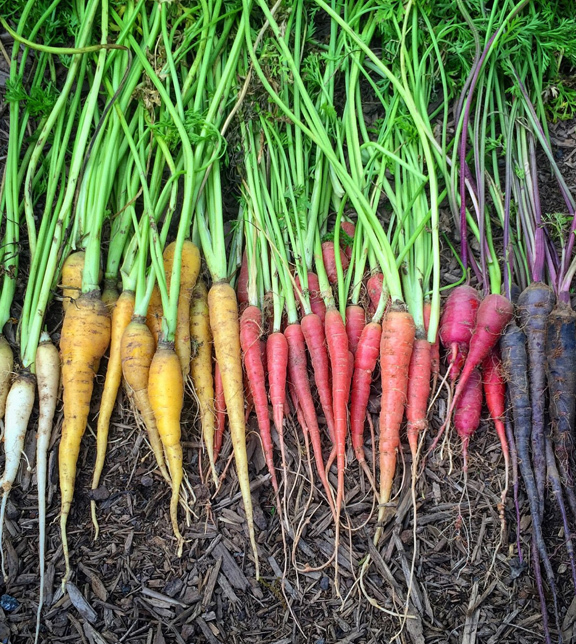 It's fascinating to see a range of different cultivars grouped together as Paula has done in her garden. 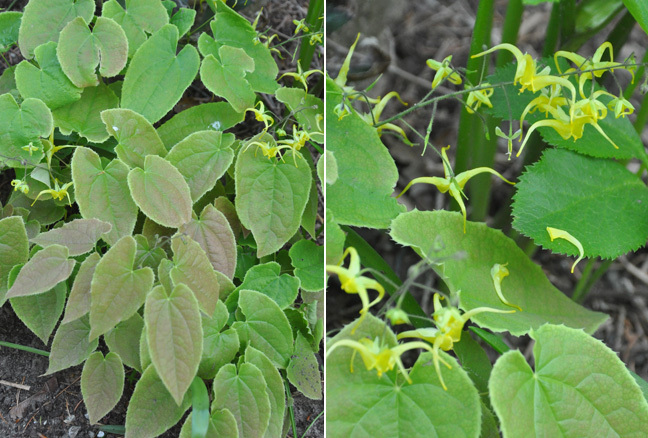 To get a better idea of the diversity of Epimedium available, check out the listings Epimedium on the Lost Horizons Nursery website. 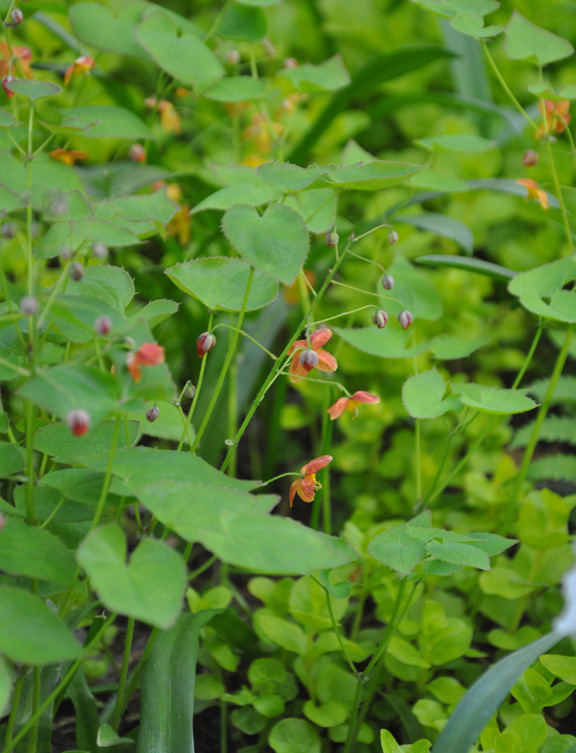 Barrenwort, Epimedium x warleyense 'Orange Queen' is a non-invasive groundcover for shade. 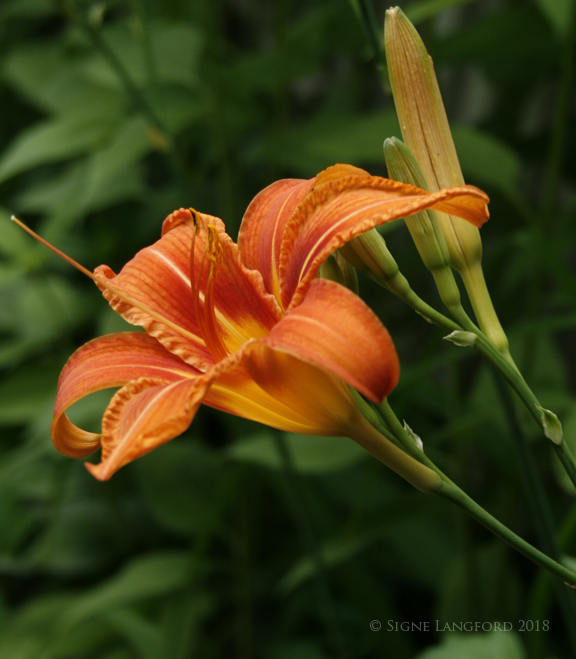 'Orange Queen has sprays of tiny, creamsicle-coloured flowers in mid-spring. 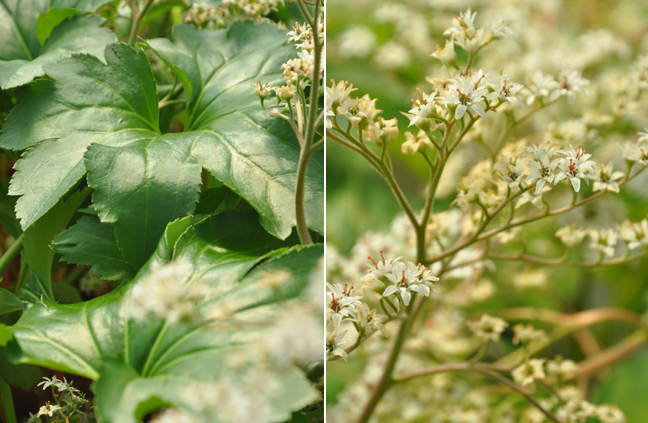 Old foliage can be trimmed back to the ground to show the flowers to best effect in the spring. 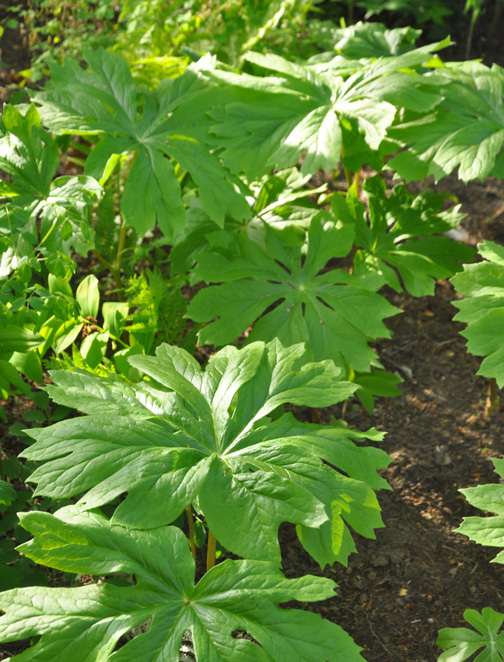 This is a fairly adaptable shade plant that will flourish in average, sandy or clay soil. It is also drought tolerant once established. Divide in early fall. Height: 20-25 cm (8-10 inches), Spread: 30-45 cm (12-18 inches), USDA zones 4-9. 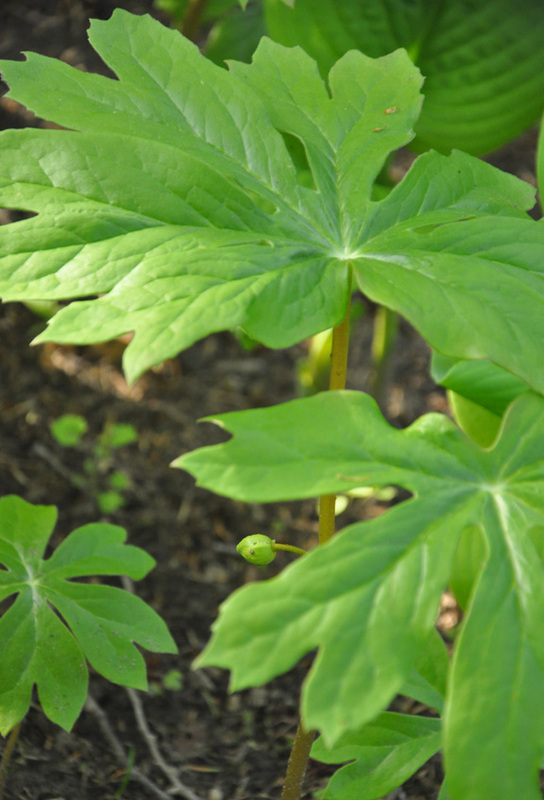 Mayapple, Podophyllum peltatum is a great plant to naturalize in a woodland setting. In spring, plants with two large leaves produce a single white flower that becomes a yellow fruit. The unripe fruit is slightly poisonous but is edible when fully ripe. This native plant spreads by creeping rhizomes and will often carpet a forest floor. In mid-summer, it goes dormant. 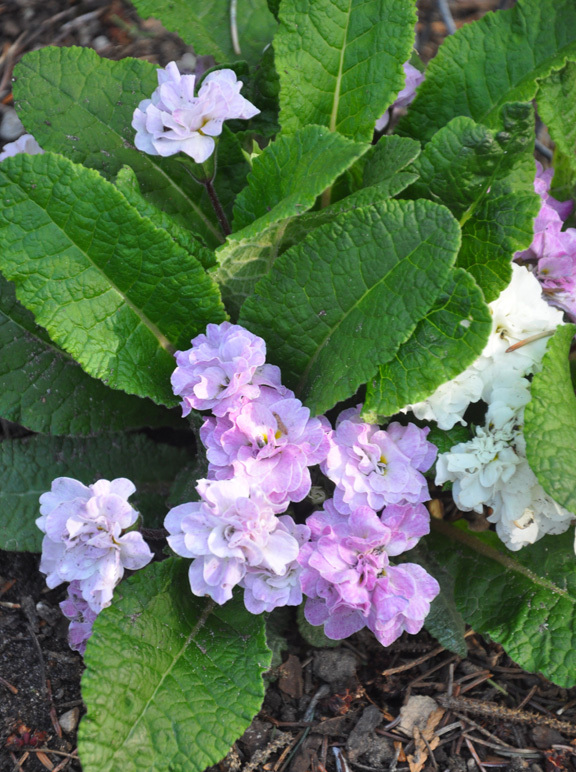 Grow this native in average, medium moist, well-drained soil. Part-shade to shade. Height: 30-45 cm. USDA zones: 3-8. A closer look at the"apple". 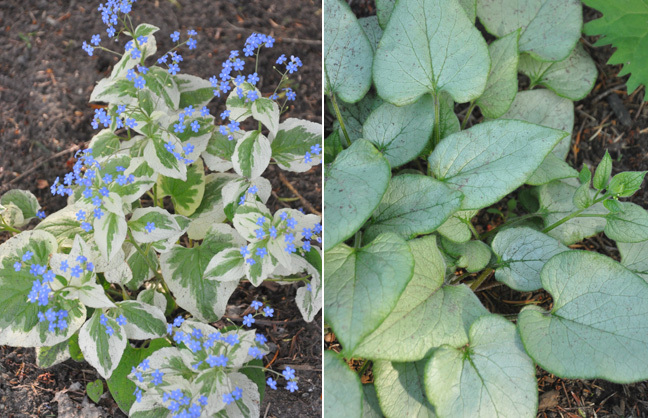 Brunnera macrophylla 'Dawson's White' (left) has heart-shaped green foliage that is edged with cream. Sprays of pale blue flowers, which closely resemble forget-me-nots, appear in mid-spring. 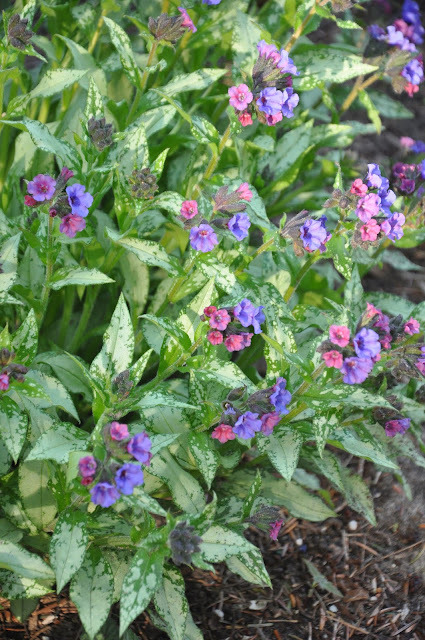 This cultivar is more sun tolerant than the older Brunnera macrophylla 'Variegata'. Part-shade to shade. Height: 30-40 cm (12-16 inches), Spread: 30-45 cm (12-18 inches). Zones 2-9. Brunnera macrophylla 'Looking Glass' (right) has cool-toned, silvery-grey leaves that have fine, blue-green veining and leaf edges. Sprays of blue flowers emerge in spring. Average soil is fine and moist conditions are best. Part-shade to shade. Height: 30-40 cm (12-16 inches), Spread: 30-45 cm (12-18 inches). USDA Zones: 3-8. When she set to work, Paula was surprised to find she shared her family's passion for gardening. "Over the years I've discovered that I enjoy gardening more than I thought I did. I began applying more of my own ideas to the overall design. My sister and mother are still my advisors even when we (occasionally) disagree on plant preferences," she laughs. "My sister Ozzie and I are very close. She and my niece are a significant part of my life. (Family is important for us). I think, however, my sister is even more interested in gardening than I am. Ozzie loves researching techniques, plant varieties, nurseries, etc. I wouldn't have the gardening knowledge or a variety of plants without her. My dad starts teasing Ozzie that she has started her plant orders in January and jokes that she orders from all over the world." Mature trees tower over the backyard and cast the garden into the shade. Trilliums love the sandy, free-draining soil. 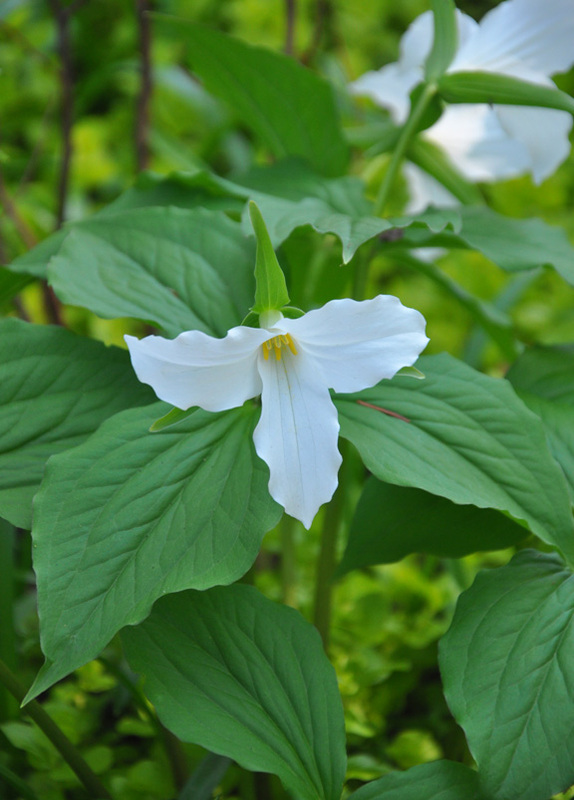 Large Flowering Trillium, Trillium grandiflorum is a wildflower native to Ontario. They have white flowers with three petals which are held aloft on a stem containing a whorl of three leaves. Trilliums are spring ephemerals that require patience. They can take up to 7 years to go from seed to flower. As the flowers fade, they turn from white to a soft pink. 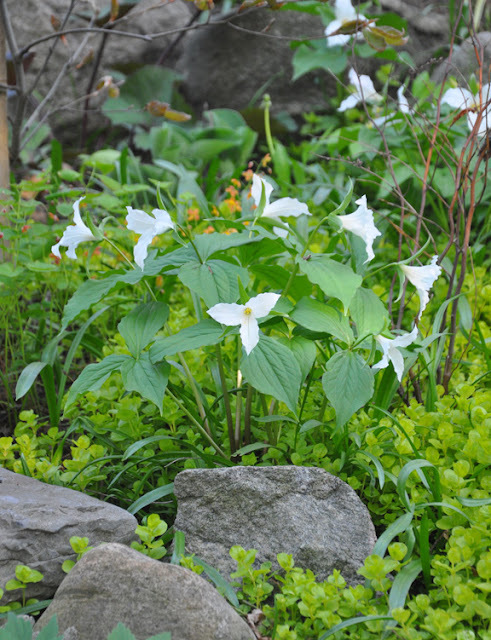 Trilliums require moist, well-drained, slightly sandy soil that is rich in organic matter. Full to part-shade. Height: 20-50 cm (7-19 inches) USDA Zones: 4-9. Even Paula's Dad has benefited from Ozzie's interest in plants. "He loves the variety she has introduced to his collections. My sister regularly drops off new plants for me to add to my garden. Especially any that my parents may not be a fan of." Next week Paula's garden will be one of the eleven gardens on this year's tour in support of the Canadian Cancer Society. Not surprisingly, everyone has pitched in to help get ready. Double Primula in the front garden. 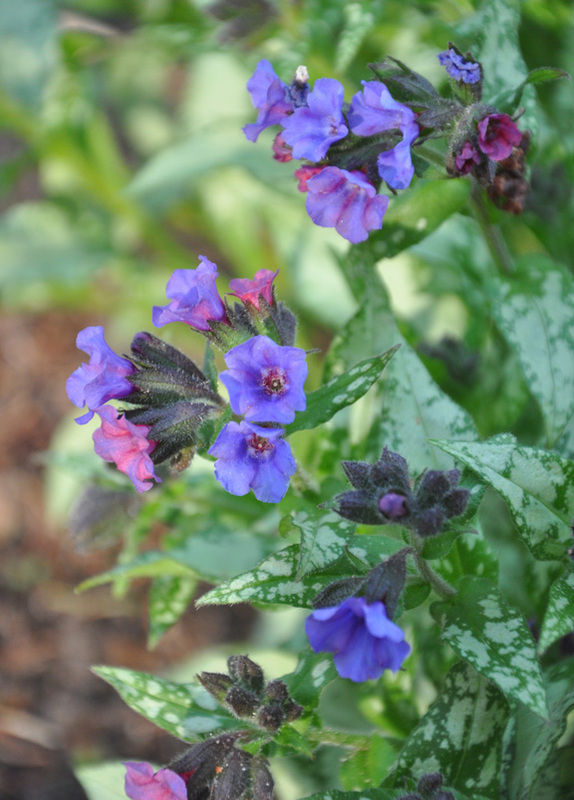 Lungwort, Pulmonaria saccharata 'Silverado' has green leaves when it emerges in spring that quickly become splashed with silvery-grey. The flowers appear as early as April and are purply-blue and pink. Part-shade to shade. Height: 30-40 cm (12-16 inches), Spread: 30-45 cm (12-18 inches). USDA Zones 2-9. "My entire family still regularly pitch in with the labour. My sister and dad were here most of the day," says Paula. All the hard work has paid off. "I enjoy sitting or walking through my garden, appreciating the beauty of the plants and feeling a sense of accomplishment when plants are thriving and the garden looks good. A day spent in my garden is something I look forward to - it’s my stress relief." 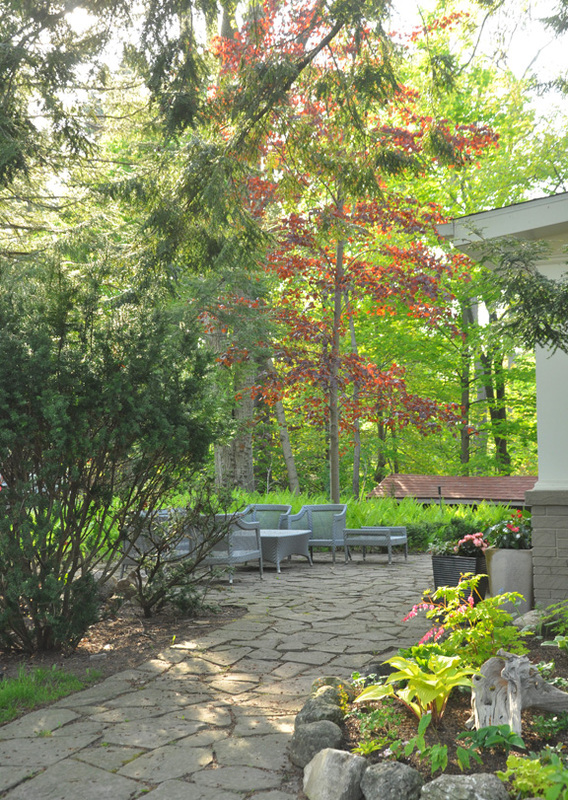 The 13th Annual Spring Garden Tour in support of the Canadian Cancer Society will be taking place on Sunday, May 27, 2018, from 10 a.m. to 4 p.m. 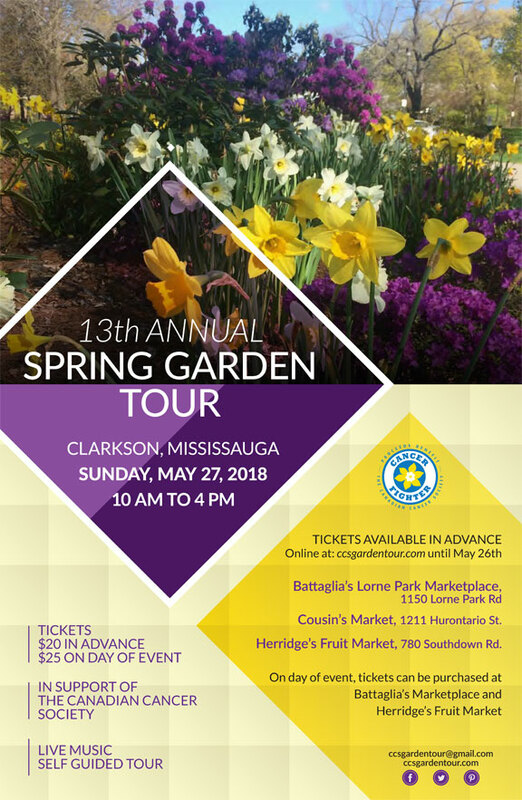 This year’s tour will take place in the Clarkson area of Mississauga where eleven homeowners have graciously agreed to share their lovely gardens with tour participants. All proceeds will go to the Canadian Cancer Society to help fight cancer. 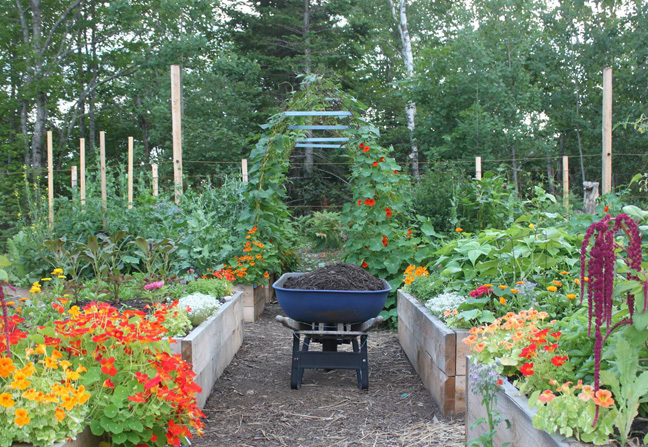 For most Canadians, the long weekend in May marks the start of the gardening season in earnest. The danger of overnight frost is unlikely and it is finally safe to plant tender annuals and vegetables. 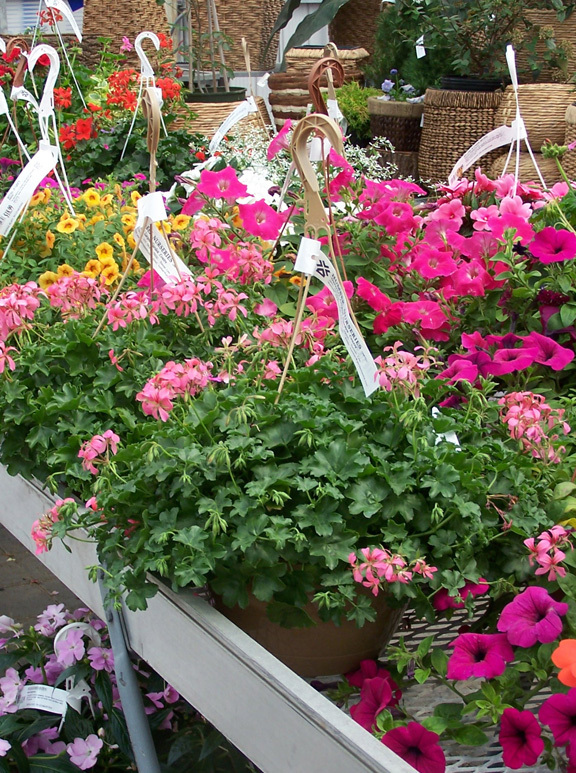 If the fine spring weather holds this weekend, garden centres will be crowded with eager shoppers looking to buy plants. Here are a few tips that might help you make sense of the overwhelming choices and make the most of your plant shopping dollars. The shiny leaves of this shade plant caught my eye, so I took a picture. I went home and looked it up online. Once I figure out a home for it, I may go back and get one. When it comes to plants, I am the worst one for making impulse purchases! It comes with being a plant geek. I see something new or unusual and just I have to have it. But here's what I've learned the hard way– those spur of the moment purchases end up languishing in their nursery pots while I try to figure out where to put them. • Take a stroll through your garden with pen and paper in hand. Take note of any holes in your planting scheme that need a little something. If you happen to know the perfect plant for these spots, start a list. 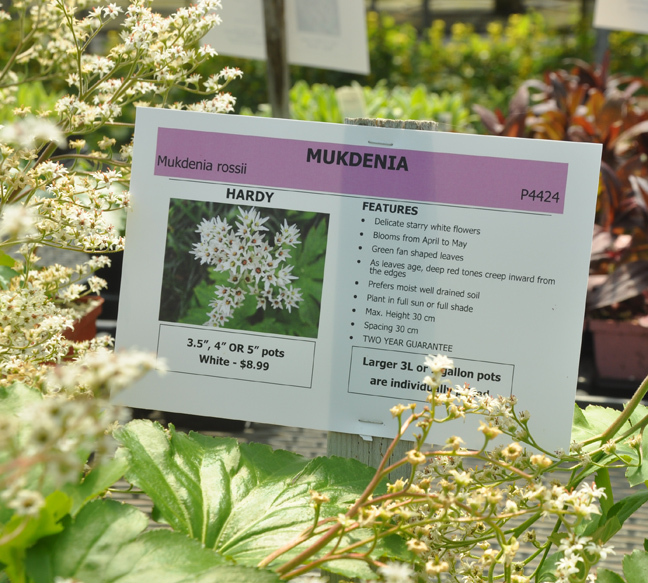 If you don't know exactly what plant you want, at least tally purchases you require for sun and those you need for shady areas. 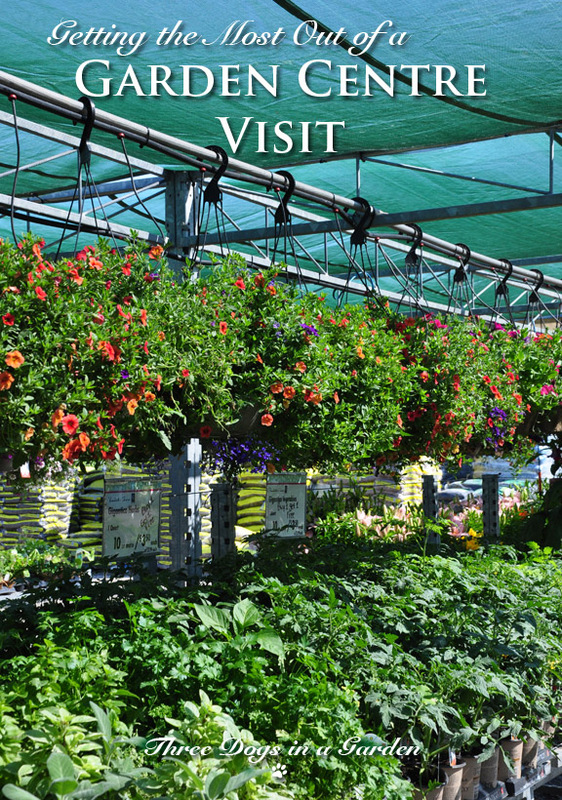 • When it comes to annuals, it's fun to wait and see what strikes your fancy at the garden centre. Even so, I'd recommend having a mental tally of the number of plants you need to fill your containers and baskets. • If something catches your eye, but you have no idea where you'd plant it, take out your phone and snap a picture for future reference. 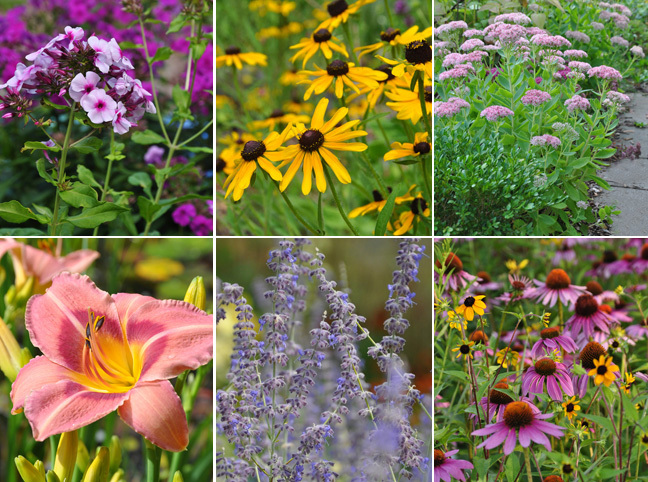 Make a point of buying at least a few plants that bloom in mid-to-late summer. A picture on a plant tag is helpful, but something in bloom is way more tempting, isn't it? The problem with filling your shopping cart with perennials in bloom is you'll end up with a garden of plants that flower in the spring and early summer. Come mid-July and August you'll be disappointed with the lack of color. • Before you head to the garden centre, draw up with a list of a few options that will give you color in July, August and September (see image above for just a few of the many possible choices). • Annuals might be short-lived, but they give you color all summer long, so I think of them as a short-termed investment that will pay off. You're looking at a tray of perennials. Some are already in bloom. Others pots have flower buds only. Which is the better purchase? I say always buy the plant with buds not the flowers. 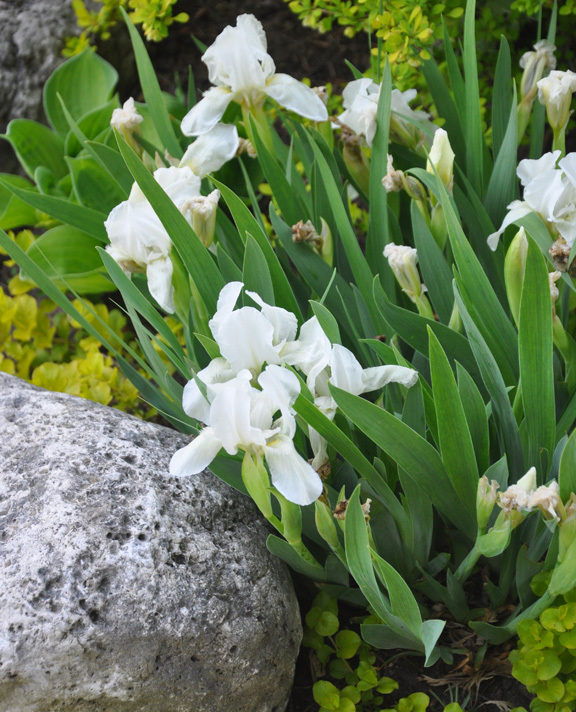 Most likely a perennial in bloom has already used up a good portion of its flowering time. 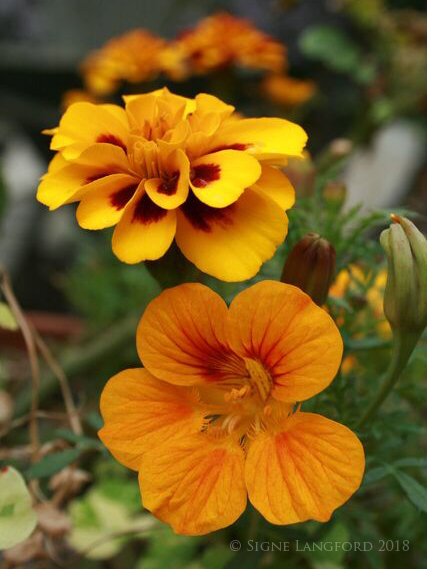 Better to reach for the one with buds and enjoy the flowers for a longer period of time in your garden. 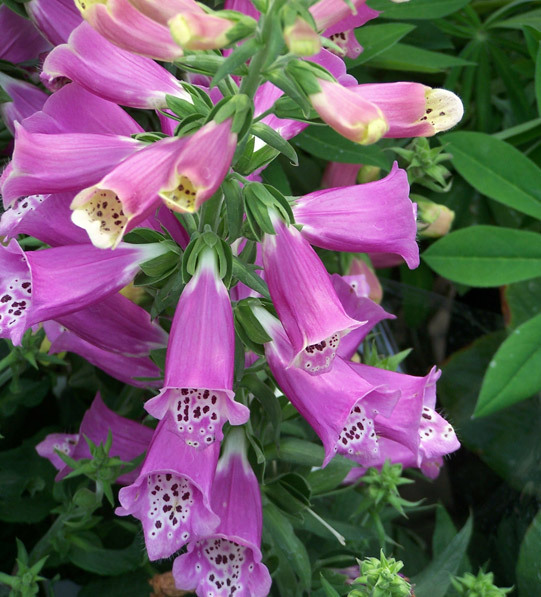 I feel sorry for the unwitting shoppers who buy expensive flowers like the foxglove (above). Foxgloves are biennials that flower in their second year. While that tall, impressive stock of blooms is a show stopper, it is also a sign that the foxglove is near the end of its short life. If you were to pay almost twenty dollars for this large potted plant, it may continue to flower for a few weeks. Then it will set seed, look bedraggled for a number of weeks and eventually die. 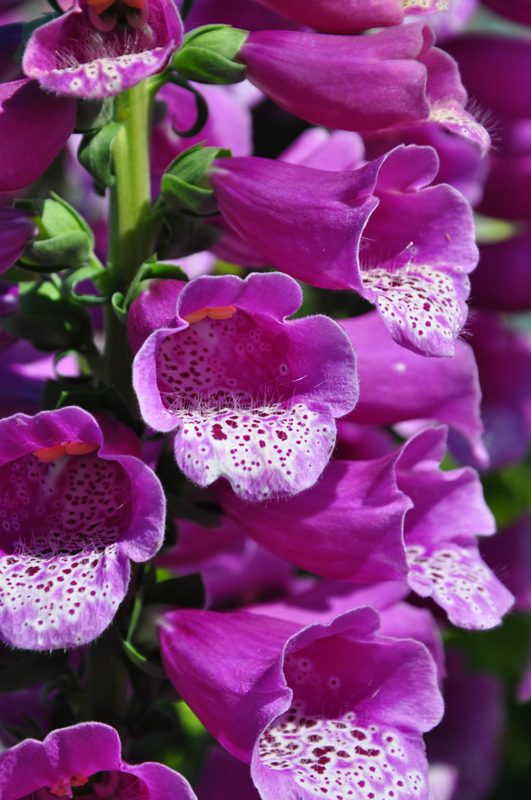 If you love foxgloves, buy an inexpensive packet of seeds and grow them yourself. 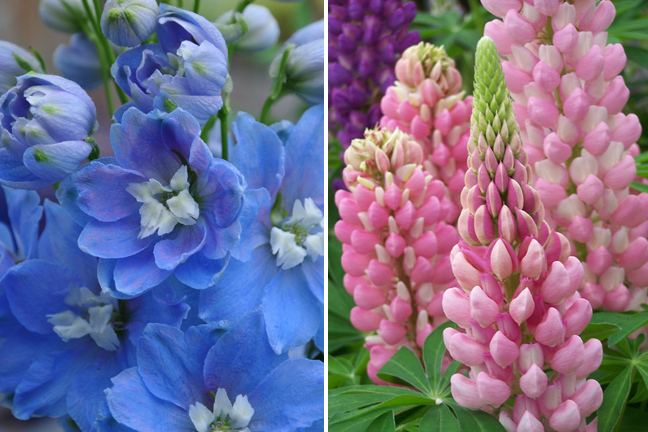 Other plants that you often see in a big size with a hefty price tag are delphiniums and lupins. 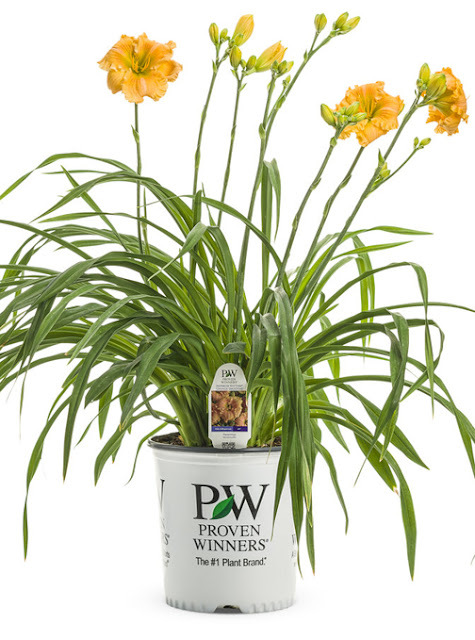 It's much better and cheaper to buy a smaller plant and wait for it to bloom. Unlike the foxglove, they will continue to reward you with flowers. Small plants on the left and bigger plants on the right. Which is better? You're looking at two trays. 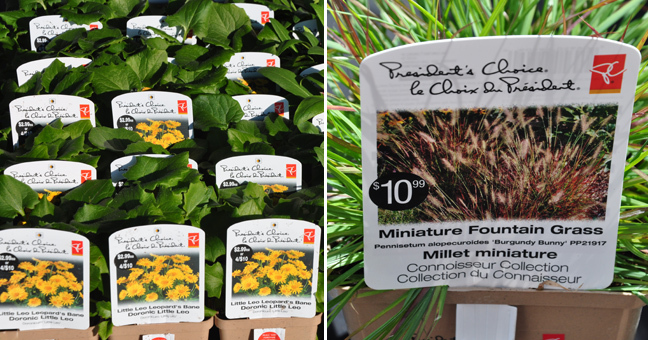 One has large perennials in big pots for $10.99 and the other has much smaller versions for just $4.99. Which is the better option? • If money is tight, I say go with the smaller, less expensive pot. Get it into the ground as quickly as you can, water well and keep an eye on it for the first summer. It will bulk up soon enough. • There are always the exceptions. A few long-lived perennials are really slow to grow and establish. Gas Plant, Baptisia and Amsonia are great examples. They take years to reach any size. In these instances, I think it's worth it to buy the bigger plant. • Sometimes there is no smaller option. Peonies, for instance, are always sold in large pots with a proportional price tag. Ornamental grasses are yet another example. They're big plants, so it is hard to find a pot for under $10. • A few perennials are just plain pricy regardless of the pot size. 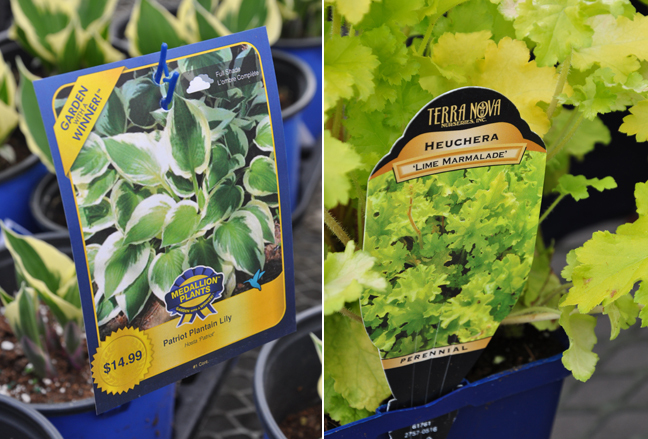 Hosta and heuchera are a perfect example. Only you can decide if they are worth it. Gardening, like so many other things, has trendy items. It's expensive to develop and trial new cultivars, so that's usually reflected in the price tag. When it comes to choosing the latest introduction or the old standby, I think it all comes down to your budget. You'll get more for your money by buying older cultivars. That being said, sometimes the new introduction has advantages to offer– a bigger flower, a longer bloom time or a smaller overall size. These advantages will sometimes make new introductions worth the extra money. Problematic Goutweed lying in wait. Not every plant that you'll find in a nursery or garden centre is well-behaved. 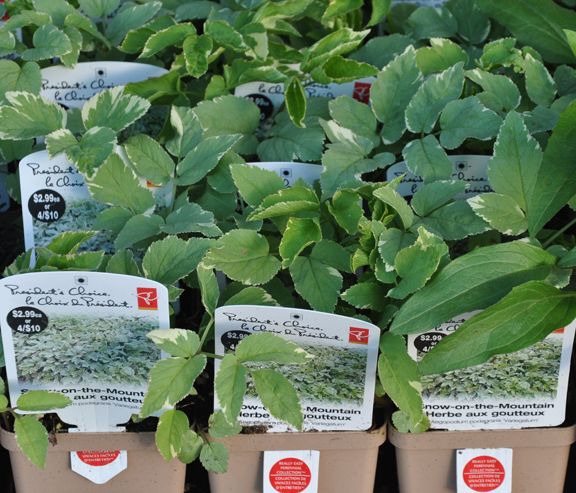 Retailers often sell plants that many consider problematic or invasive. • Pay heed to descriptives. A "groundcover" will spread out more or less aggressively to cover a wide area. If that's not what you are looking for, try to find an alternative that is "clump-forming." • Take note of the manner a plant spreads and how quickly it does so. "Spreads by creeping rhizomes" means the plant will travel underground. 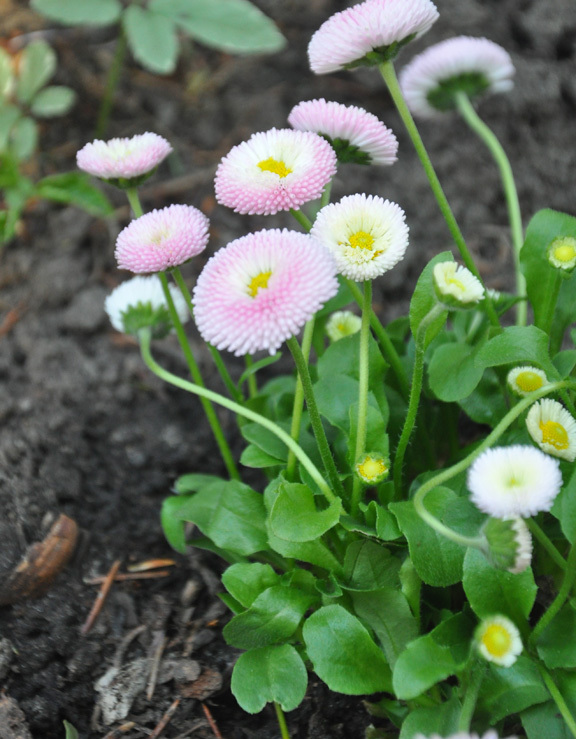 "Prolific self-seeder" may also be an issue, if you dislike removing unwanted seedlings. • The internet is an amazing resource. Before you plant something that is unfamiliar, look it up online. Type something like: "Is Creeping Jenny invasive?" into the search engine of your choice. If you get a long list of results, I'd think twice about planting Creeping Jenny. • Make sure a particular plant doesn't have an invasive alert for your region. Some plants are fine in one part of the country, but can be a problem in other regions where growing conditions are very favourable. Again the internet is a great research tool. Reserve some of your overall budget for the unexciting but necessary stuff. It is really tempting to blow all your money on plants. I always try to remind myself that I will need some slow-release fertilizer for my containers and hanging baskets. 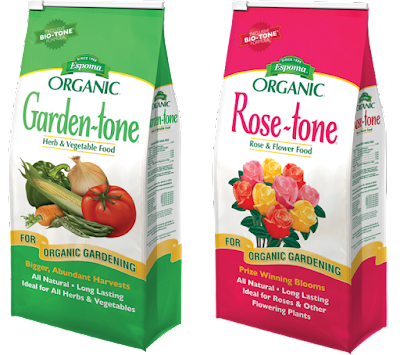 I also try to leave money for some organic fertilizer for my roses and mulch to keep weeds in check. If your plant shopping this weekend, have fun picking and choosing your plants. 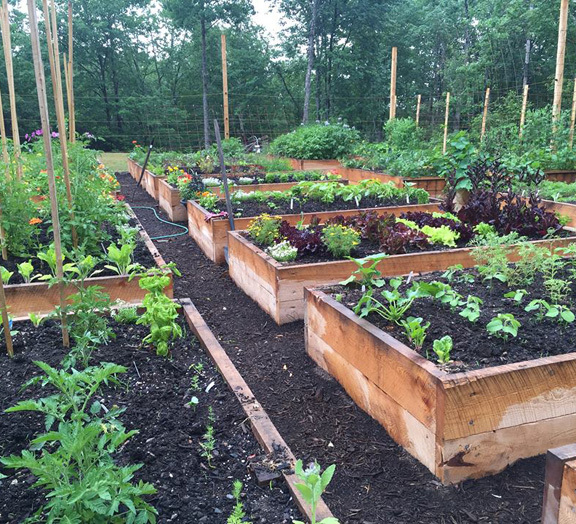 Just think how wonderful your garden will look this year! So many people entered my latest giveaway, I have writer's cramp! Thanks to everyone who took the time to leave their names on Facebook, by email, on the blog itself and via Bloglov'n. 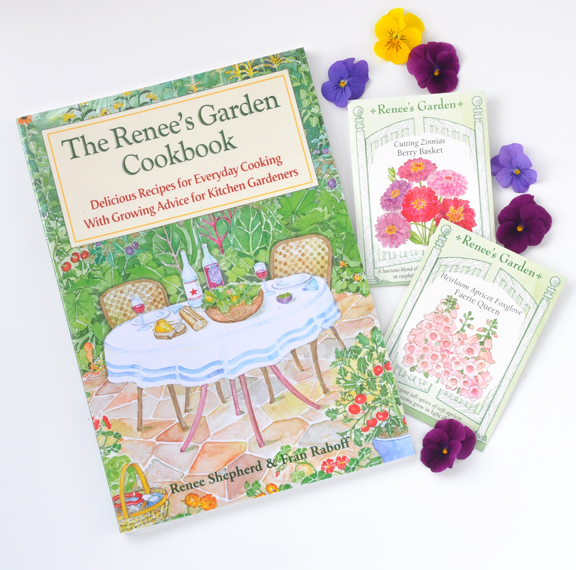 Many thanks also to Renne's Seeds for providing the cookbook for this giveaway. Congratulations Danny-Leigh Hill. I had a bit of a laugh when my husband drew out her name, because Danny-Leigh had been thinking positively she included her address in her email entry! Up very shortly is a review and a chance to win a copy of Niki Jabbour's new book Veggie Garden Remix. Eating flowers is not as out there as it once was. Back in the 1990s only a handful of avant guard chefs were dotting their massive white plates with pretty posies. Now, it seems, almost everyone is doing it. In fact, you’ve been doing it for some time – eating flowers that is – possibly without even knowing it. Capers are pickled Mediterranean nasturtium buds; vanilla is the stamen of a climbing yellow orchid native to Mexico; and the costly threads of saffron – another stamen – are plucked by hand from the centre of the deep purple saffron crocus; while the exotic perfume of roses and orange blossoms flavour many dishes in South East Asian, Mediterranean, and North African cuisine. Some flowers make it to our tables incognito. Hops is a green flower that give beer bitterness and complexity of flavour; artichokes are really big thistles; and okra is a tasty member of the family Malvaceae – or mallow – which includes hollyhock, marshmallow, cotton and about 25 other siblings. And we’re just getting started. We’ve not even touched on all the wonderful wild blossoms right there, under our noses – literally! – for the taking and potentially, baking. • If you haven’t tried eating a raw flower yet, try one then wait a while to see if you’re fine with it or allergic. If you have a pollen allergy, then eating flowers may not be for you. 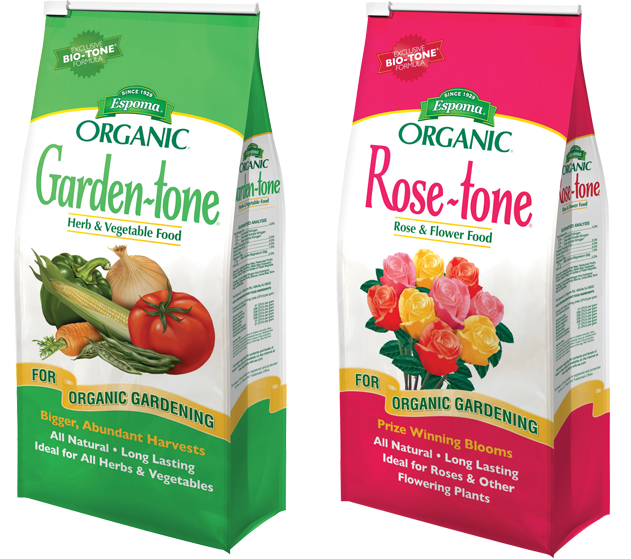 • Only buy organic flowers from the grocer. Honestly, you’re better off growing your own, or buying from a certified organic grower or someone else you trust. • This is a biggie: just because the flower is edible, it doesn’t necessarily mean the whole plant is. And vice versa; just because the plant is edible, it doesn’t necessarily mean the flower is. Plants store their chemicals—sometimes toxins—in different parts, so check first. • Always wash delicately in cold water, and inspect for bugs. • Never pick flowers from roadsides, along train tracks, or from lands and gardens you are not very familiar with. These plants may have been absorbing toxins and petro-chemicals. • Don’t buy flowers to eat from the florist, they will most likely have been exposed to chemical fertilizers, pesticides, fungicides, perhaps even dyes. • Again, this comes down to research, but depending on the flower, it may be best to remove pistils and stamens from the bloom, and eat only the petals. • And never, ever, eat flowers that you do not know for 100 percent certain are edible. Once again, when in doubt, consult an expert. From my own garden, I’ve enjoyed day lily, monarda, lilac, crabapple, eastern redbud, dandelion, linden, pansy, violets, clover, milkweed, rose, nasturtium, squash blossom, borage, marigold…and I’m sure I’m forgetting some pretty little thing. Edible flowers can be added to just about anything. Don’t just think sweets, candies, and desserts, many edible blooms are actually quite peppery–monarda is a blissful blend of sweet and heat!—and make brilliant additions to savoury dishes. 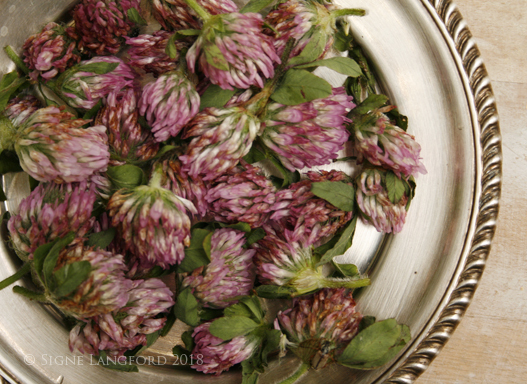 Fresh red clover flowers are meaty, chewy, and taste like raw green beans. Add flowers to salads or as a stunning garnish to any dish, hot or cold, raw or cooked. 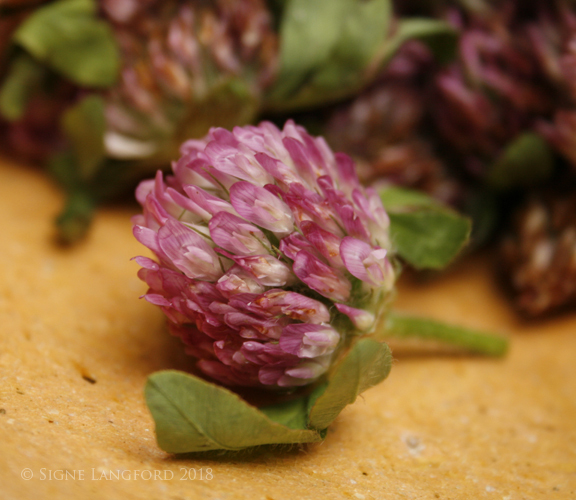 Work pretty blossoms into foods where they’ll still get to shine; nestled into pancakes in the pan, dropped last minute into crepe batter, pressed into raw cookies before baking or into frosting; or even rolled into fresh pasta sheets. 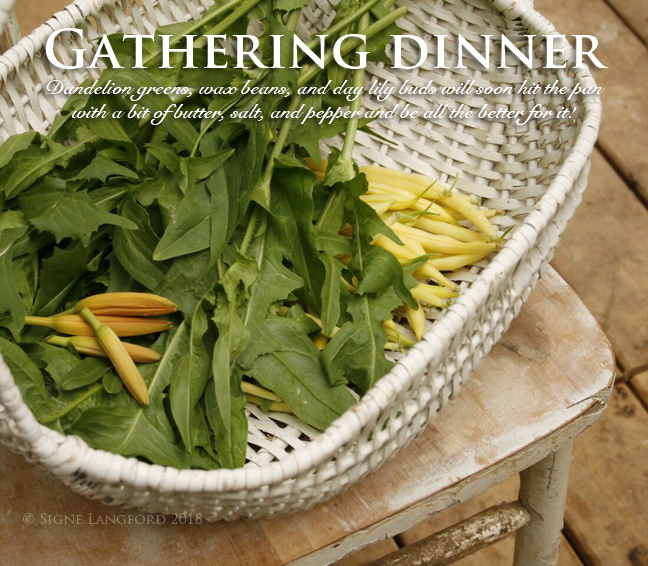 While researching my second book – all about gardening and cooking with indigenous edible plants, no publisher yet! – I discovered so very much and yes, I ate a lot of weeds and wild flowers. 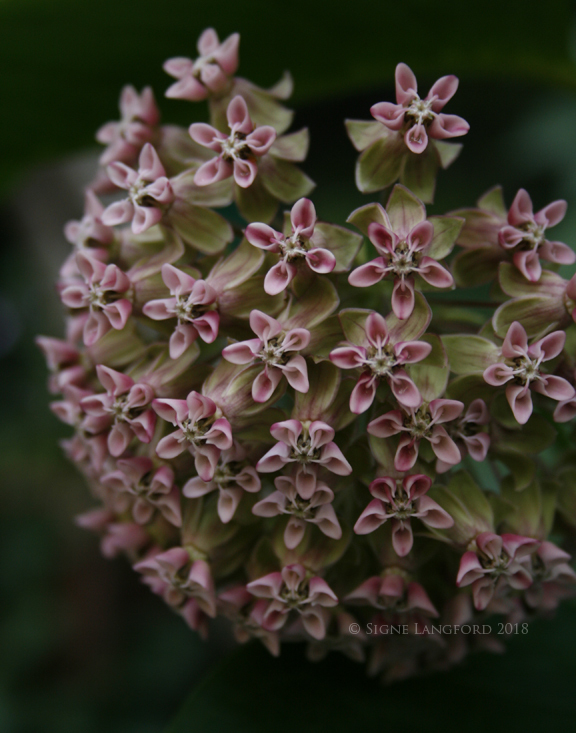 Milkweed is a plant that continues to astound and enchant me. 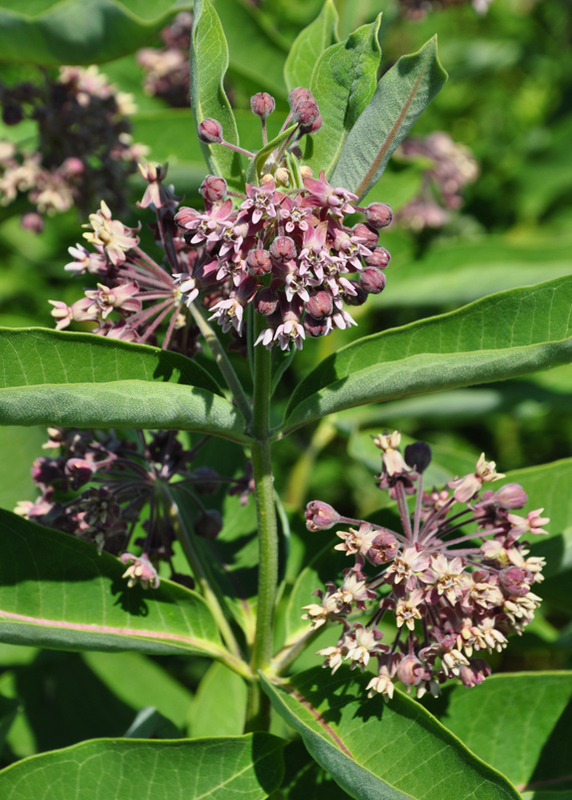 I’ve learned that First Nations people used to boil milkweed flowers in water; they’d let the water boil down until there was nothing but a thick, sweet, syrup left. This they would use as sugar. I simply boiled up about 2 cups (500 mL) of water and added an equal amount of sugar. Once the sugar was all dissolved, I allowed it to cool for about 10 minutes while I prepared my jar. 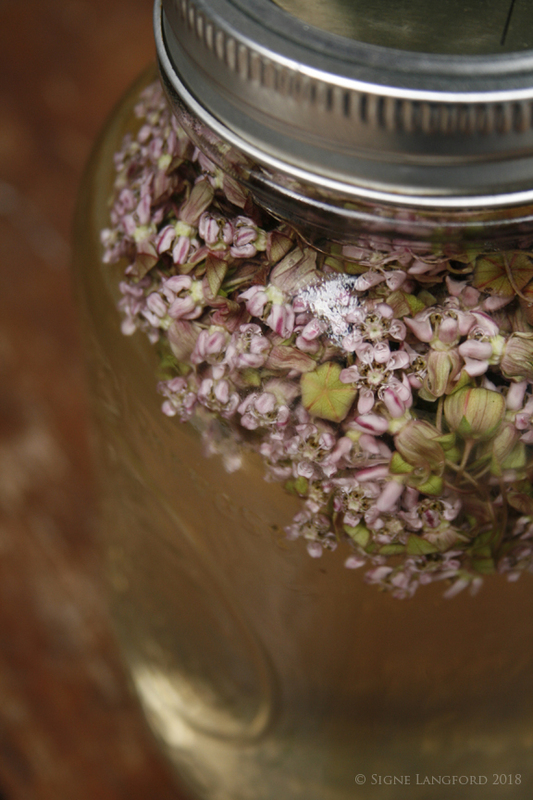 Into a large mason jar I added about 5 of the loveliest milkweed flowers I could find; making sure there were no bugs or spiders lurking, and then poured the warm syrup in. I put the lid on and allowed it all to steep for about 1 week; then discarding the flowers. What resulted was a pretty pink, curiously herbaceous, sweet and mucilaginous syrup that works beautifully with gin! Summer Celebration Salad. Photograph by Donna Griffith. For the greens and herbs in this salad pick any combination of exotic or conventional, wild or domesticated: arugula, spinach, dandelion, lamb’s quarters, nasturtium leaves, baby kale, or even experiment with a few tender springtime maple leaves. 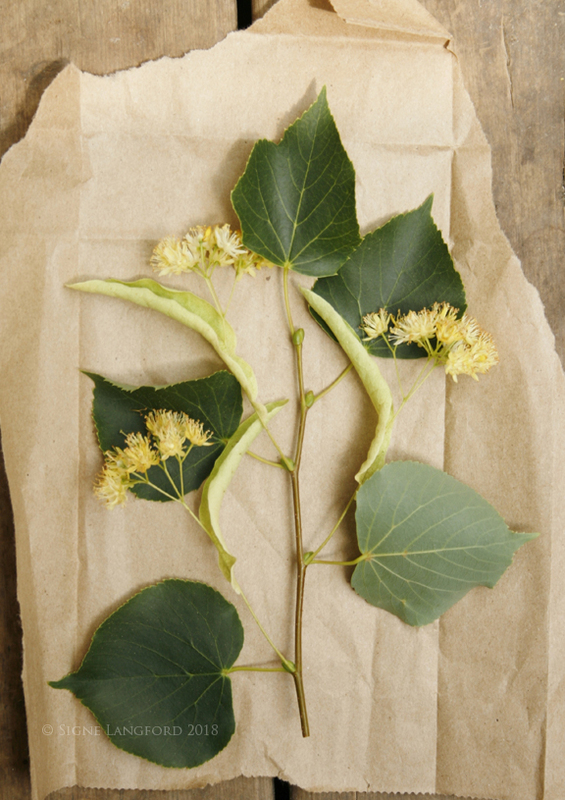 Likewise, pick whatever edible petals and berries you have on hand at the moment; in this recipe, I’m listing the flowers that I used to make the one in the photo, but you can get even more exotic, think sweetly scented maple, hawthorn, linden or eastern redbud blossoms or pluck petals from arrowhead, bee balm, chicory, eastern spring beauty, red clover, roses, evening primrose and spiderwort. 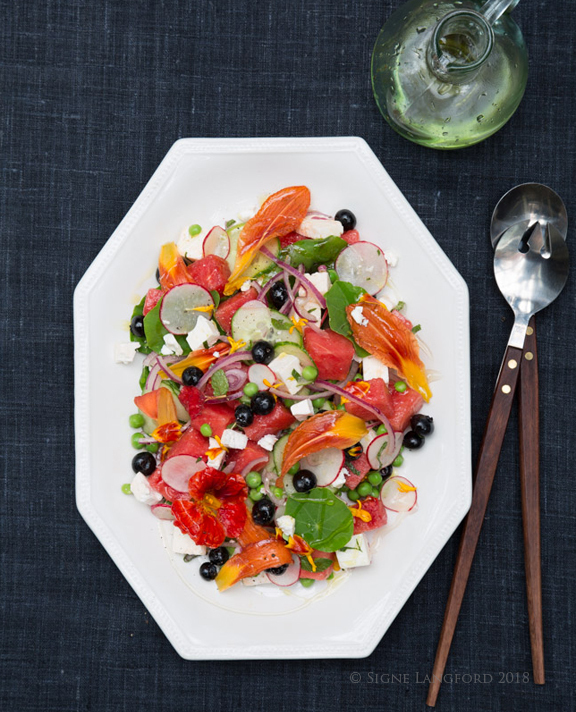 And, seriously, use this salad to celebrate summer as well as spring; just change up the combination of ingredients to reflect the season! I use Canadian blueberry honey—those busy bees keep North American blueberry bushes in fruit! – Featherstone Winery’s verjus, and Canadian-grown canola oil from Pristine Gourmet; it’s beautiful, deep-yellow, nutty stuff. To make the vinaigrette, add the oil, verjus or vinegar, honey, mustard, salt and pepper to a medium bowl and whisk until well blended. Set aside. To make the salad, blanch the peas. Bring a medium saucepan of salted water to the boil over high heat. Add the peas and boil for 1 minute. Drain and transfer peas to a bowl of icy water. Allow to sit in the cold water until the peas are completely cooled, then drain and set aside to dry a bit. Into a very large bowl add all the salad ingredients, including the cooled and drained peas, add the vinaigrette, and very gently toss; petals bruise easily. Tumble onto a serving platter and garnish with a final drizzle of honey. Signe Langford is a restaurant-chef-turned-writer who tells award-winning stories and creates delicious recipes. She is a frequent contributor to the Globe and Mail, National Post, Toronto Life, Canadian Living and Garden Making magazines. 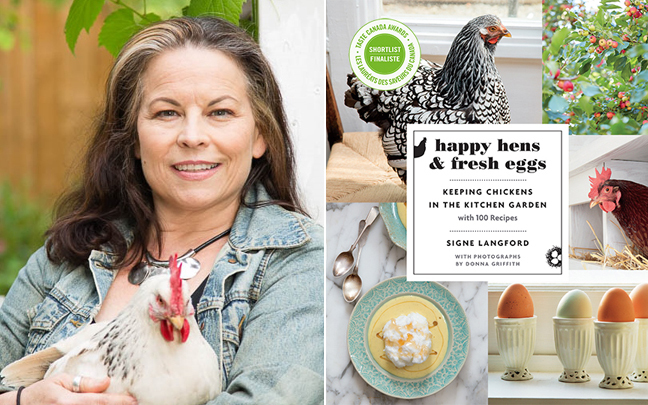 In 2105, Signe published her first book Happy Hens & Fresh Eggs; Keeping Chickens in the Kitchen Garden- with 100 Recipes.